I always enjoy seeing the creativity of my fellow card collectors. In today's Cardboard Commentary, I'd like to show a custom card I received in the mail from Youtube user MrCardCollector97. He has some fantastic custom cards... very nice design, the perfect card size, and they're one of a kind! 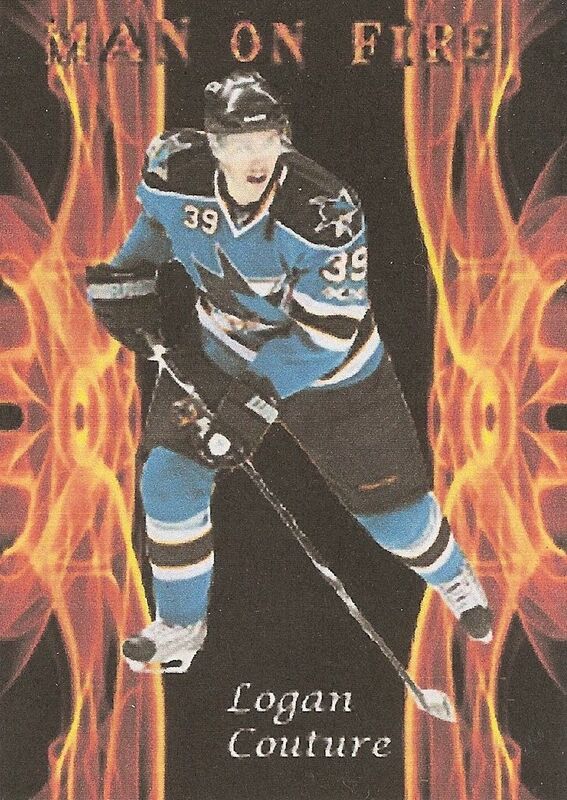 MrCardCollector97 knows that I'm a huge Logan Couture fan. I commented on a video of his regarding how awesome his custom cards looked. He was nice enough to offer to make one of Couture. There is a story behind how I received the card though... because I almost didn't get this card! The back of the Couture custom card. For whatever reason, my mail person is not the best. I've had a few packages during the past few years that didn't make it to me (EVEN WITH DELIVERY CONFIRMATION!!!). I'll tell those stories another day.... but in this case, MrCardCollector97 sent the custom card to me and asked me if I had received it yet. It had been maybe three weeks and I still had not gotten it. Sometimes mail from Canada can take a long time - but usually not this long. One day I found a package stuck to my door... it was the package with MrCardCollector97's custom card inside. It must have been put in the wrong mailbox. A friendly neighbor must have found it and brought it by. Thankfully, the person was kind enough to do that (there have been other instances where neighbors didn't). When I opened the package I was very happy to get the Couture Custom. So a huge THANK YOU goes out to MrCardCollector!!! This Couture custom card is now a part of my Logan Couture PC. I consider it a one of one, and I'm a big fan of it!!! 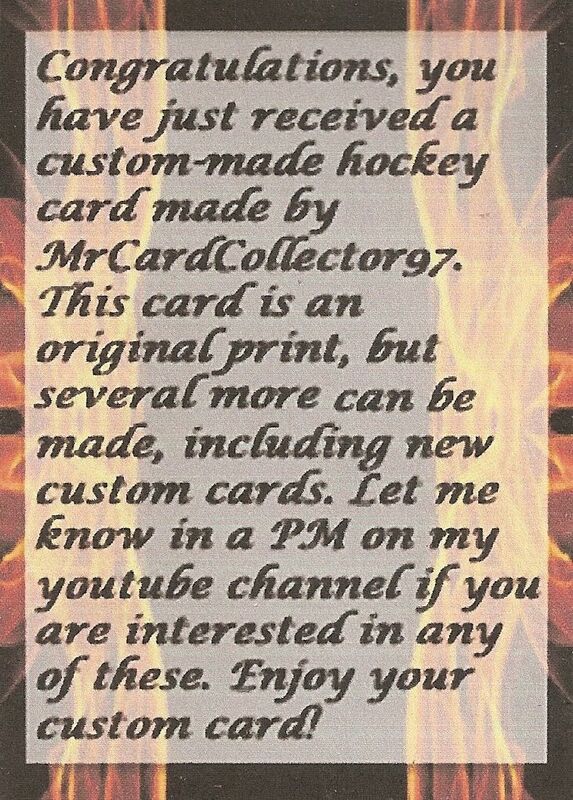 Check out MrCardCollector97's Youtube channel and give him a sub: Click Here. If you have a custom you'd like to show off, let me know! I'm always glad to give aspiring card designers a shout out on The Cardboard Review.